Year: 1952 Item #: 1187 Views: 3,685 Comments: No Comments. King in its own Realm. Well merited by its Quality Unsurpassed. 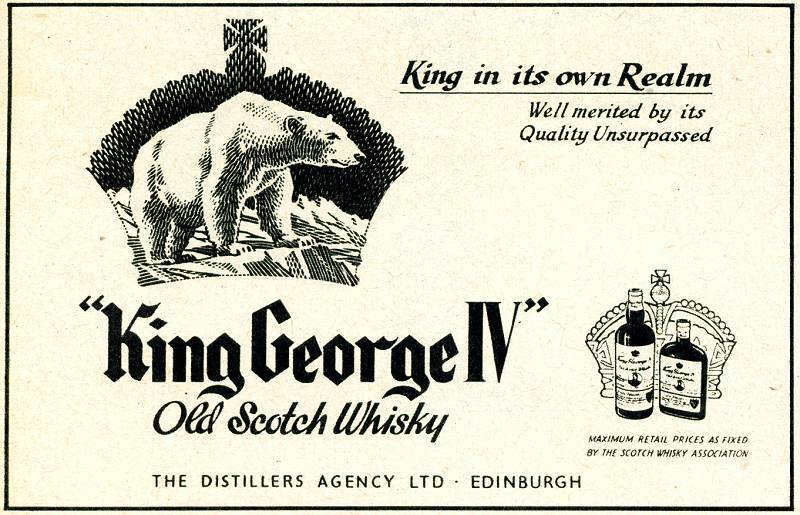 "King George IV" Old Scotch Whisky.